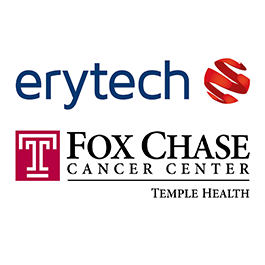 Erytech Pharma, a French clinical-stage biopharmaceutical company developing innovative therapies for rare forms of cancer and orphan diseases, has entered into a research collaboration with Fox Chase Cancer Centre (FCCC) to advance the pre-clinical development of the company’s erymethionase program for homocystinuria. The aim of the collaboration is to demonstrate the potential of erymethionase to lower homocysteine and methionine in CBS-deficient mice. Erymethionase is a methionine gamma-lyase enzyme encapsulated in red blood cells using Erytech’s proprietary ERYCAPS technology platform to provide effective, long-acting therapeutic activity with reduced toxicity. Not only is Erytech using erymethionase for the homocystinuria program, they are also developing it as a product candidate for targeting cancer metabolism. To read the full press release from Erytech, click here.